'Don’t buy anything here, we’re very expensive.' 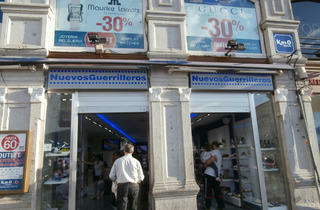 That’s the unlikely slogan emblazoned at the entrance of this business, which has a number of shops in Madrid. 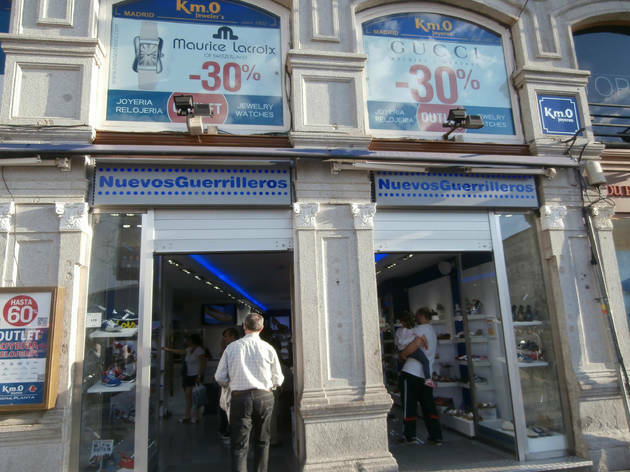 Nothing could be further from the truth, because you can find some real bargains at Nuevos Guerrilleros among the mountains of shoes for men, women and children. You’ll find all kinds of styles including some modern and extravagant models.